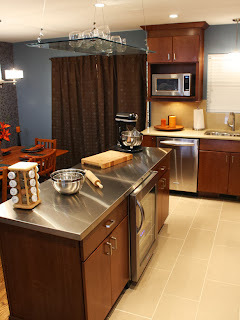 A stainless steel kitchen countertop or stainless steel backsplash tend to make a room look more spacious and bright which is why they are well suited for kitchens of any size, especially small ones. Stainless steel complements and matches pretty much any color scheme or kitchen design you may have. 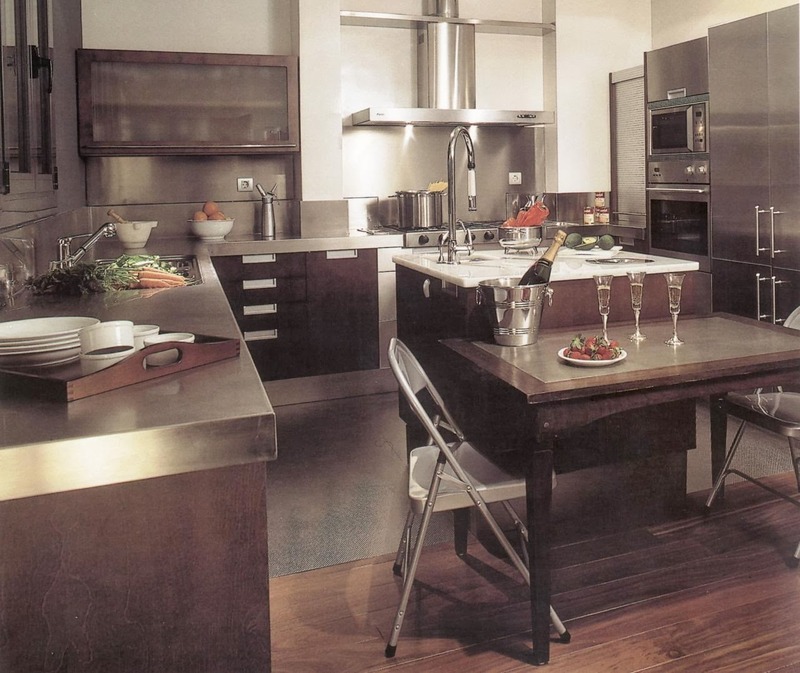 With qualities like corrosion resistance and its durability stainless steel is not only a stylish choice it is also a very practical choice for a kitchen counter top surface. 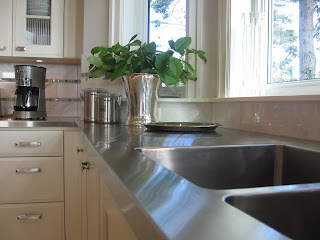 Stainless steel when used for a kitchen counter top or backsplash, whether for just a section or for the entire counter, can give any kitchen a look of upscale sophistication. Of course stainless steel has its pros and cons and it depends on your own personal preferences and lifestyle whether or not it really is the choice for you. 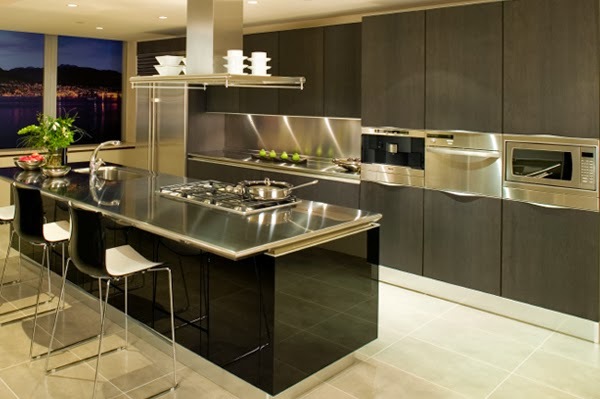 Starting with restaurants and commercial kitchens stainless steel kitchen countertops began to appeal to homeowners, who have chosen it to spice up their kitchen decorating and designs. 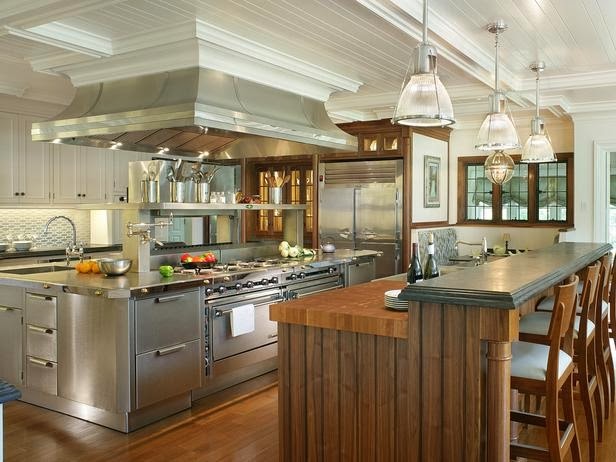 Stainless steel proved its durability with these original uses and other qualities that are desirable in any kitchen. One is the stain resistance that it offers, it is virtually impossible to stain it, hence its name. 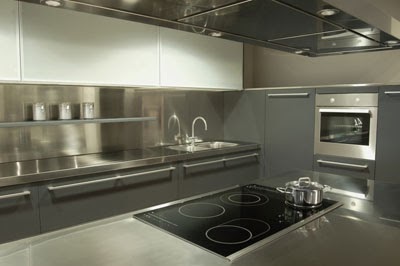 For food preparation areas stainless steels anti bacterial qualities also can not be beat, any harmful bacteria can be removed with ease. Most importantly stainless steel kitchen counter tops won't rust, fade, chip, or stain. 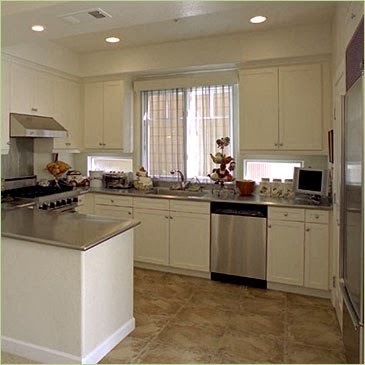 They are not only durable, but heat-proof, completely water-proof, and resistant to gouging and denting. 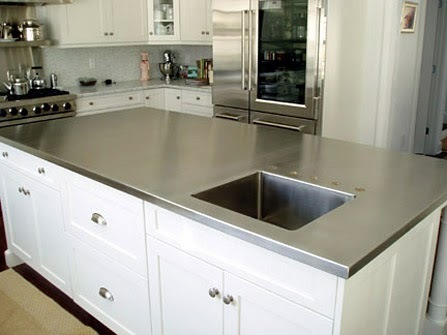 Also, a stainless steel countertop is easily serviceable in case deep scratches or dents that are major occur. 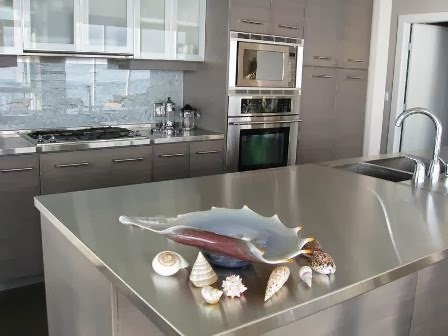 The fact is that in today's kitchens there are a lot of metal surfaces exposed on appliances and trim, what better to complement it with than a stainless steel backsplash or counter top. 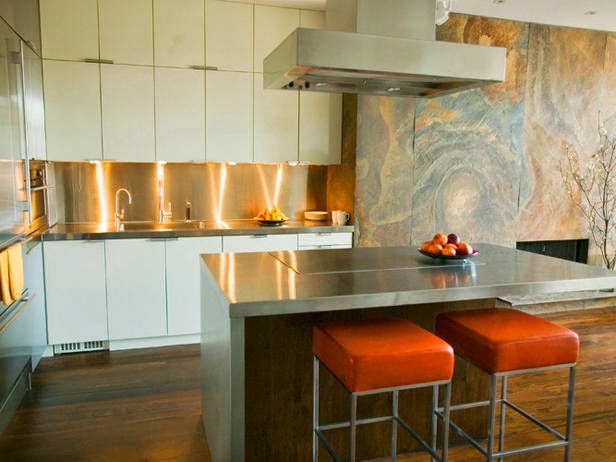 This is one of the reasons why stainless steel as a backsplash or counter top have become so popular, they look so good. 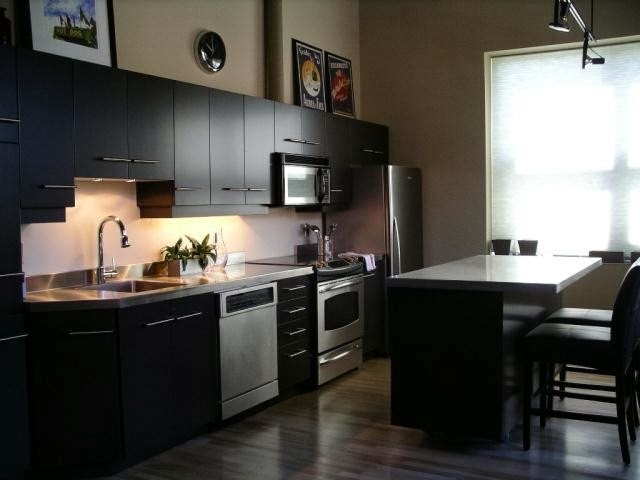 It is not cheap however, so If your counter top area is large and you plan to use stainless steel it can get quite expensive. 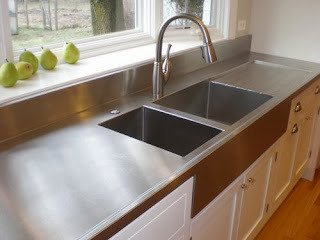 This is why one cost cutting way of adding the sleekness of a stainless steel countertop to a kitchen, that homeowners choose, is to mix and match stainless steel with different materials or ones that are not quite as expensive. This is very effective with stainless steel backsplashes. 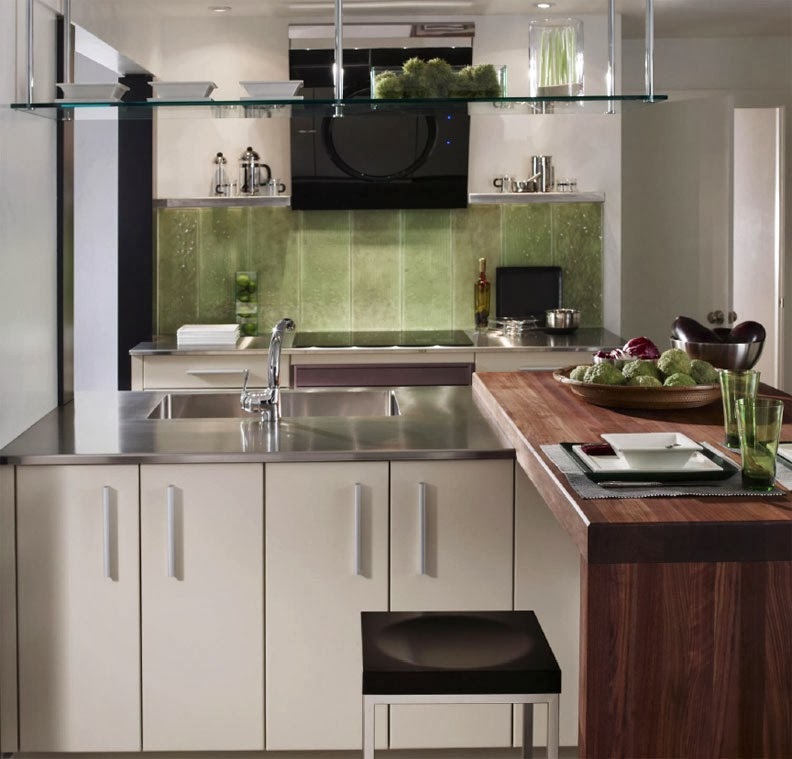 As an example some choose a countertop surface theme using using materials like laminate or granite, for instance, and only have the area around the sink or stove done with a stainless steel counter top. 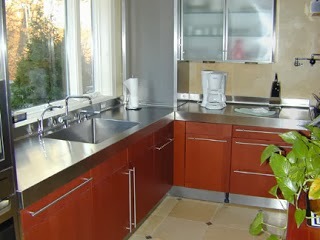 Now on the down side a stainles steel kitchen counter top, when worked on, can be noisy. 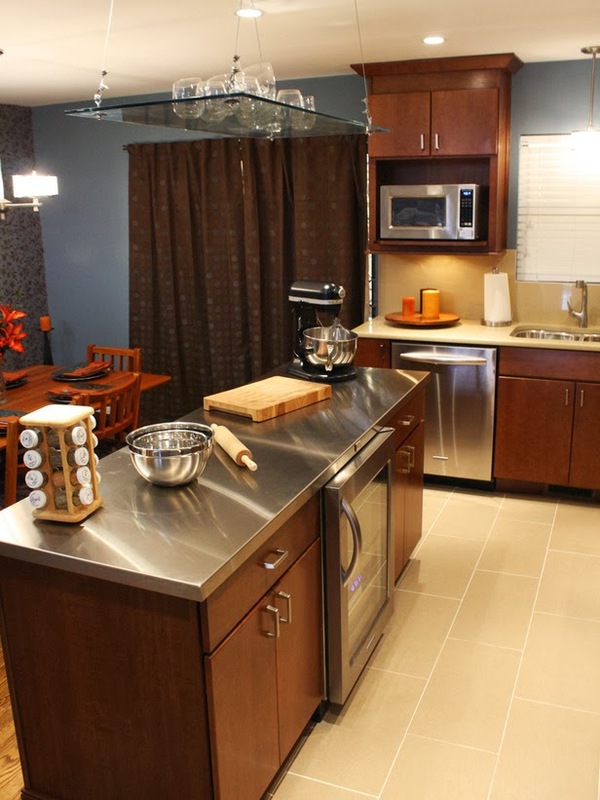 This can be minimized by purchasing a better grade and higher gauge of stainless steel. 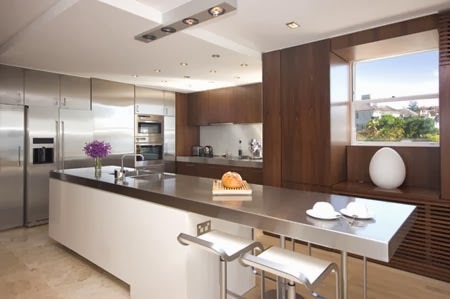 The grade is determined by the chromium and nickel content, the higher this content is the higher the grade, home stainless steel counter tops should be fabricated with 304 stainless steel. 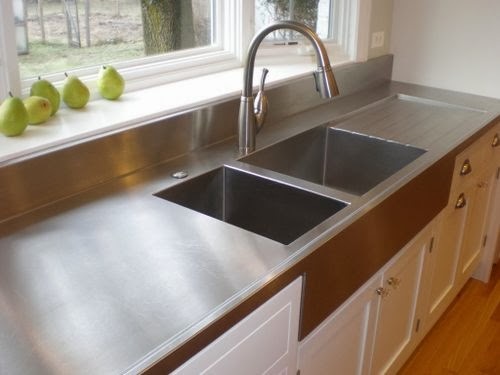 The thickness should be a 16 gauge stainless steel which is primarily used for residential stainless steel countertops while lower 14 and 12 gauge are used for industrial applications. It is worth it to buy quality stainless steel. 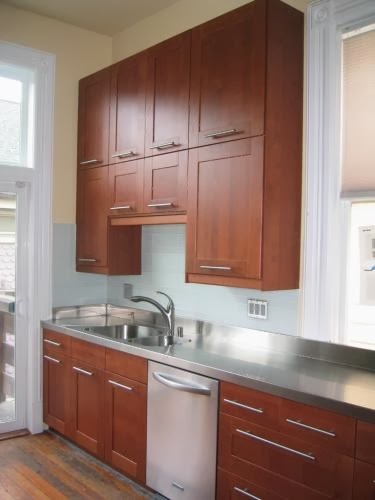 A better grade and higher gauge will not only minimize noise but, also have better stain and corrosion resistance properties. 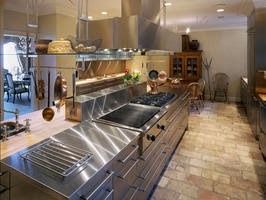 For all practical reasons and stainless steel is a practical countertop material choice, when quality is purchased and cared for properly you can bring a long lasting, durable and almost maintenance free contemporary and sophisticed warmth to your kitchen with the addition of a stainless steel backsplash and a stainless steel kitchen counter top.